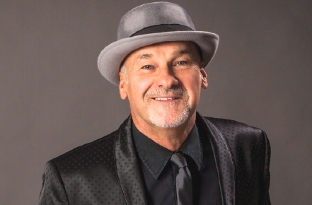 PAUL CARRACK has written songs for The Eagles, Diana Ross, Tom Jones, Michael McDonald and Jools Holland among others – as well as having enough hits of his own to fill a song book. “It’s true,” laughs Paul. “A lot of people ask about The Smiths. But it’s an obscure one really, it was just a bit of session work. I knew John Porter, who was producing their first album, and I popped up and did a bit of keyboards. “I didn’t know anything about them other than John said Morrissey was a bit strange. My son found out 20 years later and was more impressed about that than anything else I’ve done I think! “On my CV there’s a lot of names and I’ve done bits of sessions here and there but it wasn’t like I was doing them every day, they were few and far between. His bread and butter these days is touring with his own band, playing the songs he’s written over the years and using what the BBC has described as “a golden voice”. But it wasn’t his now revered vocals that got Paul noticed when he started on his musical career. “As a kid I had people mention I had a nice voice,” he recalls. “But when I started in bands I was a drummer and then moved to keyboards. He is now on the road promoting his Best Of Paul Carrack album, which includes songs penned by him but often made famous by others. “It’s the first time I kind of owned a lot of these tracks,” he says. “A couple of them have been re-recorded or aren’t the originals, like Tempted which was recorded by Squeeze, and Living Years (Mike & the Mechanics) that I’ve never been allowed to use because it’s owned by a record company. It’s one of the reasons it’s a live track on the album. Paul says he prefers being independent even if his success is not as the same level as when he was involved with major labels. “On most days I count my blessings and think I haven’t done too bad, and I’m still here doing it,” he says. “I still have the wherewithal to do it, I have a great, supportive band, my own label, my own studio. It’s not on the level of the guys I mention, but I don’t aspire to that anyway. Paul says he still gets a thrill out of hearing his songs performed by other artists. “I’m always excited when someone does one of my songs, especially if it’s an established act like The Eagles,” he adds. PAUL CARRACK will appear at G Live in Guildford on Saturday, November 22.